We told everyone that nine Sun Prairie, Wis. neighborhoods out of 25 made their TDS Fiber registration goal…but by the time it was published, there were actually 12! Clearly you guys move as fast as our 1Gig internet speed :-). Remember, if you live in any of these 12 neighborhoods and haven’t registered, you should still get out to TDS Fiber and make it happen. The free installation and free HD for life offers are only good for folks who register before their neighborhood’s deadline. Congratulations to everyone and, of course, thank you! 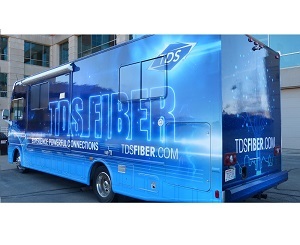 I’m happy TDS is building fiber into communities. Shorewood Hills is low-hanging fruit for you. You’ve already got a switching facility there. The Village government is easy to work with. Fiber could be run overhead on utility poles. The residents have lots of money and there’s great dissatisfaction with UVerse and Charter. Thanks for your comment and tip, Craig! So which are the 12 neighborhoods that have made the cut. I’m in 1543GF and can’t wait !!! Bill, if you head to TDSFiber.com and plug in your address, you can explore the map to see which areas have met goal already. Stuff is changing by the hour, but a quick glance this morning shows that 18 neighborhoods have now made goal (with many others really close!). Thanks for registering, and we’ll see you soon :-).